CableFree Pearl is a high performance MIMO radio from Wireless Excellence, with high performance, carrier-class broadband radio equipment with throughput up to 867Mbps in licensed or unlicensed bands. The CableFree range of MIMO OFDM radios has superior throughput, features and performance and are widely used in Enterprise, Wireless ISP, Government, CCTV security applications worldwide. 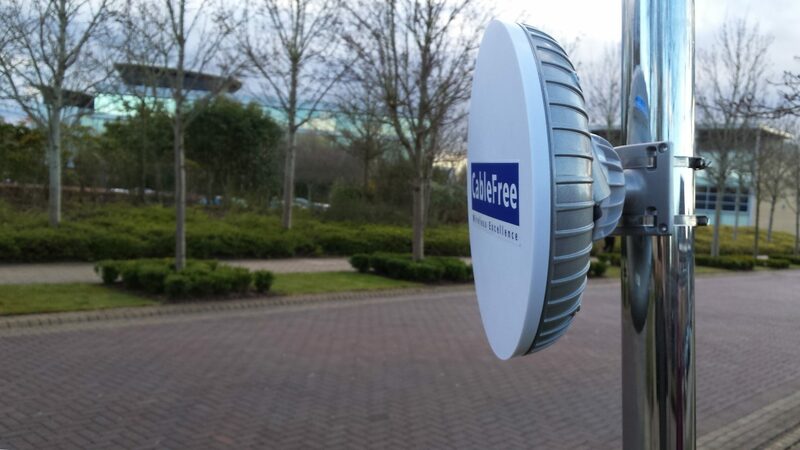 CableFree MIMO Radio links are used in a wide range of applications including Backhaul, Wireless ISPs, CCTV for Safe Cities, Police, Law Enforcement, Fire, Port and Border Security ANPR applications. CableFree radios can also be used as part of CableFree UNITY solutions along with FSO and MMW technologies to increase range, throughput and availability. MIMO Radio is an attractive alternative to fixed copper or fibre networks and leased lines. Wireless links can be installed at a tiny fraction of the cost of trenched or leased fibre, providing a rapid Return On Investment (ROI). Links can be rapidly deployed in a single day, rather than waiting weeks or months for fibre circuits. MIMO Radio provides an ideal alternative resilient path to mission critical cabled links where outage could cause severe loss-of-revenue or operational disruption.